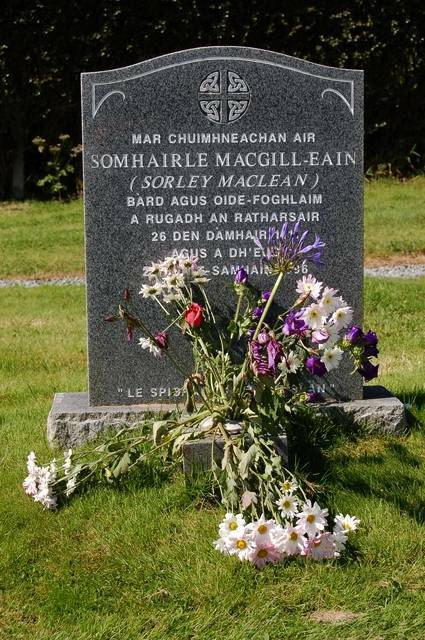 Sorley Maclean is buried in the cemetery in front of Àros, south of Portree on the Isle of Skye, Scotland. 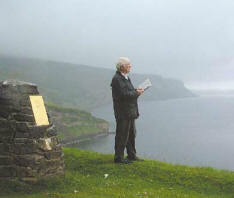 Maclean was born at Osgaig on the island of Raasay in 1911 into a Gaelic speaking community. While studying at Edinburgh University he encountered Hugh Macdiarmid who inspired him to write poetry. 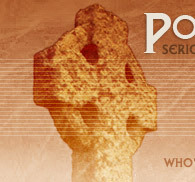 However, Maclean chose the Gaelic of his childhood rather than Scots. After fighting in North Africa during World War II he embarked on his life-long career as a school teacher - working in Mull, Edinburgh and Plockton. MacClean was one of the finest writers of Gaelic in the 20th century. 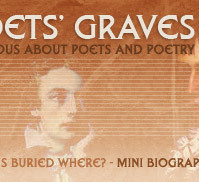 He drew upon its rich oral tradition to create innovative and beautiful poetry about the Scottish landscape and history. He was also an accomplished love poet. However, writing in Gaelic limited his audience so he began to translate his own work into English. 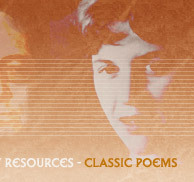 In 1977 a bilingual edition of his selected poems appeared - followed by the collected poems in 1989. His fame as a poet began to spread during the 1970s - helped by the appearance of his work in Gordon Wright's Four Points of a Saltire. Seamus Heaney, who first met Maclean at a poetry reading at the Abbey Theatre Dublin, was one of his greatest admirers and subsequently worked on translations of his work. One of MacClean's most celebrated poems is Hallaig which concerns the enforced clearance of the inhabitants of the township of Hallaig (Raasay) to Australia. 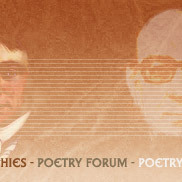 In 1990 Maclean received the Queen's Gold Medal for poetry. He died in 1996 at the age of 85.